W hen we studied the kori in the Etosha National Park, the heaviest male we captured weighed 15.5 kilograms, with the average weight of the males being 12.2 kilograms. Big males cannot simply fly up into the air like other birds; they need a bit of airstrip on which to work up the necessary speed for lift off. Once airborne in the heat of the day, a male can fly for only about 1 kilometre, far enough to out-distance a predator. However, the National Museum in Windhoek has a male specimen that weighed 22 kilograms, which probably contributed to its demise when hit by a Mercedes-Benz travelling at 120 kilometres an hour. The bird’s stomach was full of armoured bush crickets (koringkriek, corn crickets), Acanthoplus discoidalis. It might well have eaten just one too many. Females and young are much lighter, averaging 6 kilograms and able to fly for at least 5 kilometres until out of sight. We tracked koris for about 5 kilometres over the course of a day. Although the kori can fly without difficulty, it prefers walking. With its long legs and dinosaur-like head, it averaged about 1 kilometres an hour while foraging for insects, its preferred food. 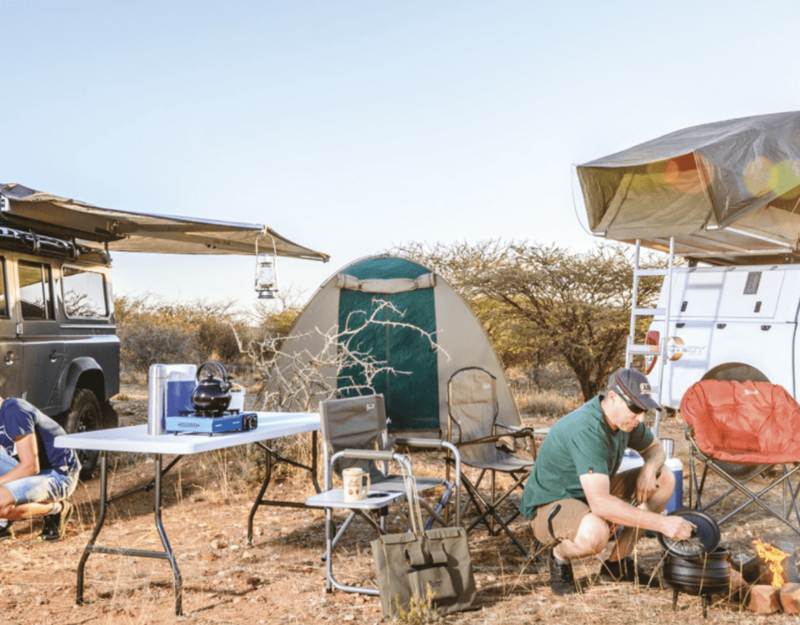 Etosha is probably the world’s stronghold of the species. We estimated the population of the 22 000-square-kilometre park at approximately 2 000 birds. 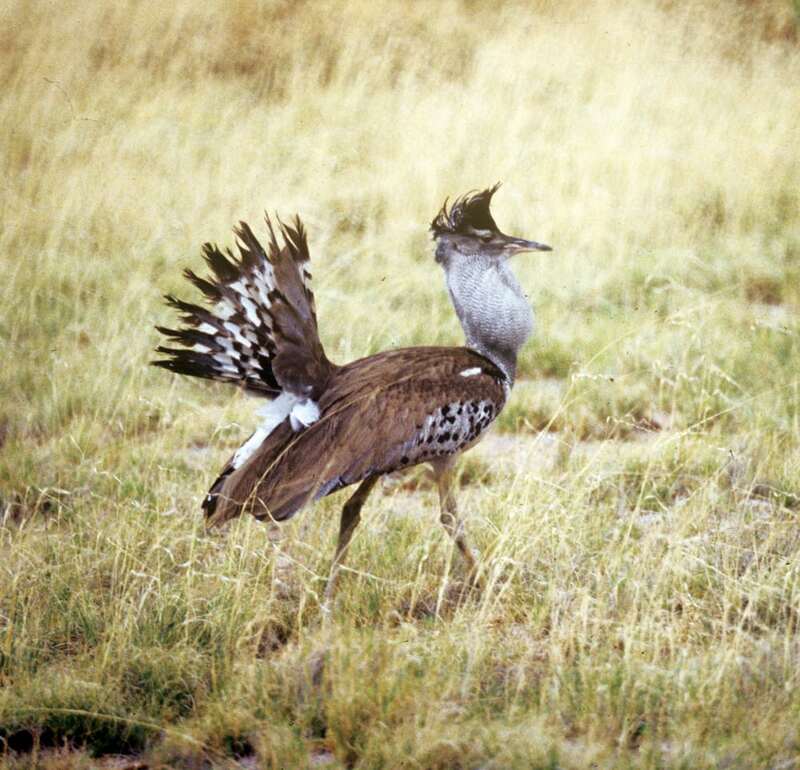 Almost all visitors to Etosha see kori bustards in their favourite foraging habitats, the Acacia nebrownii and gabbabos scrublands, and the open plains. 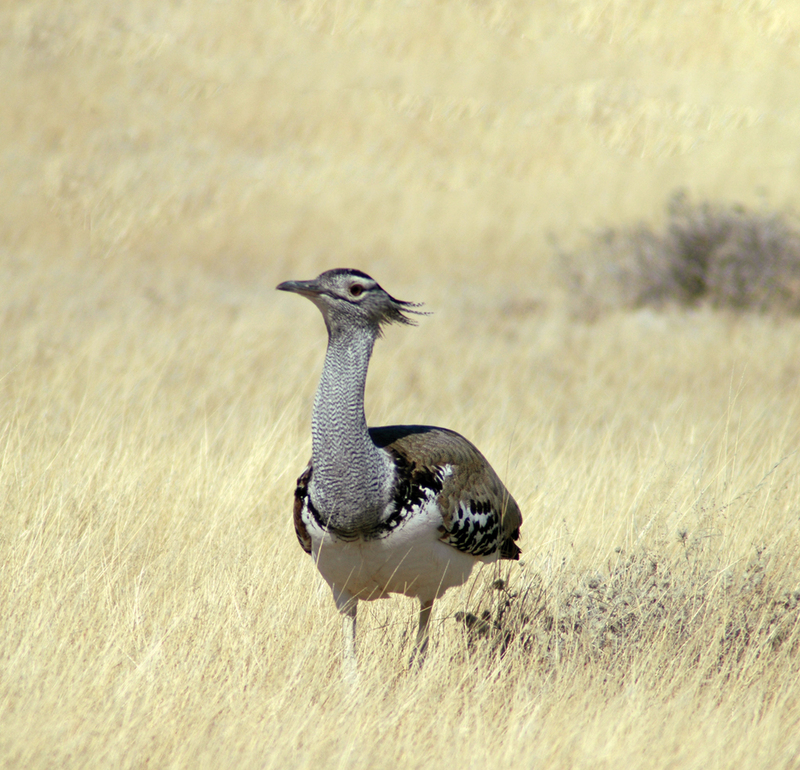 Unlike the great bustard of Europe and Central Asia, which nests on plains and cultivated lands, the kori prefers rocky, sloping scrubland. In Etosha this means that females mating with males on the plains walk up to 25 kilometres back into the woods to nest. The breeding season starts in late October with the onset of the rains. Males have what is called an open lek mating system, staking out territories on the plains but not necessarily tying themselves to a particular piece of ground. Instead they roam over the plains challenging other males, until a system of dominance is established. 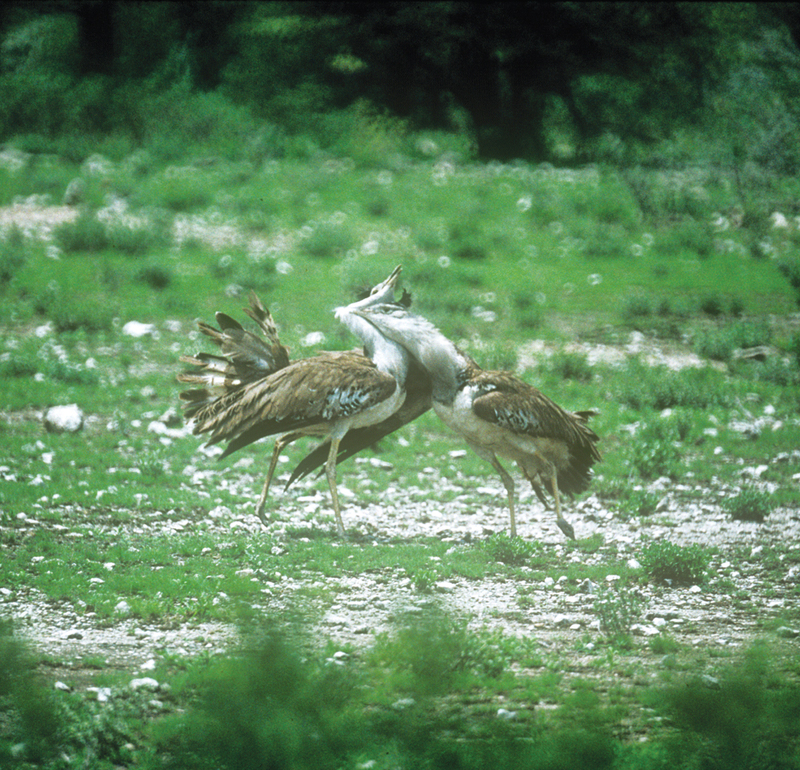 For example, on Halali Plains West, an area of 80 kilometres, there might be six adult males, with only one being at the top of the pecking order. This kori can roam the entire plain and still be dominant. While all the males display and call for females, the subordinates stop displaying and adopt a female or juvenile male posture when they see the dominant male approaching. If they don’t stop, they will be challenged. The male koris that do not stand down, face a serious fight for dominance. This article was first published in the Flamingo January 2011 issue.